"The Deevy Group went out of their way to help us feel comforable at eachstep by answering all our questions, addressing our concerns, and putting us in contact with their wide network of services and referrals." - Mike Z. & Jessica L.
"Joy Deevy showed great motivation and inspired confidence. We'd recommend The Deevy Group to anyone who wants to know that their desires and concerns are put first and who wants to be assured that their realtors are 100% committed to their client's best interest." - Peter & Melanie L.
"We met with Joy in early April to explore maybe, possibly, perhaps selling our house rather than renting it out while we are overseas. We were so impressed by her knowledge, experience and energy that we signed a listing agreement that day." - Melanie & Mohamed E.
"I could not have been luckier to have Joy Deevy recommended to me by a friend when I wanted to buy a house 4 years ago. The process could not have gone smoother and I got the house for a fantastic price! Fast forward 4 years and it's time to sell the house and move for work. Joy was the first person I called." - Paul G.
"Joy is hard-working, diligent, relentless and demanding. She sets a high standard for her work product and the team working around her, and that showed in the way my property was prepared for sales and the interactions with prospective buyers and their agents." - Kathy O. 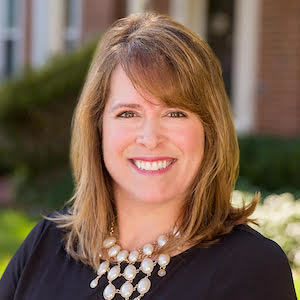 As a local resident and experienced Realtor, Joy has become one of the finest real estate consultants in the Washington metro area. With over 18 years of experience in the real estate industry, Joy has serviced high demand communities focusing her professional attention on innovative marketing, cutting-edge technology, and providing world-class client service that has resulted in over 750 successful settlements. Prior to selling homes, Joy worked in the corporate housing division of Marriott International managing large corporate client relocations across the nation. Her love of helping people relocate stems from her first experience living abroad in Salamanca, Spain. After receiving a Bachelor's degree in both Spanish and Public Relations at James Madison University, Joy traveled extensively throughout Europe and South America. She has also resided in the Czech Republic, Spain, and Argentina. Having lived in other countries, Joy understands the process of adapting to new environments and enjoys working with a collaborative spirit with her clients. Her ability to take initiative and create opportunities for her clients gives her the competitive edge, a characteristic she honed through playing collegiate sports, softball, and golf. As a native Northern Virginian, Joy assists clients throughout Northern Virginia and Washington, DC. She is also very active with Operation Renewed Hope Foundation, a local non-profit close to her heart working to end veteran homelessness. Joy resides in Northern Virginia with her husband and two sons.